Serving Central Oregon in Deschutes, Jefferson, Crook Counties and the Crescent/Gilchrist area (located in Northern Klamath County). Child Evangelism Fellowship is committed to helping local churches and individuals reach out to the lost with the wonderful news of Salvation through Jesus Christ. We do this through a variety of outreach ministries which include Good News Clubs®, 5-Day Clubs®, Camp Good News®, Party Clubs, Fair Ministry and many more. Click on any of the ministries above to learn more about them. 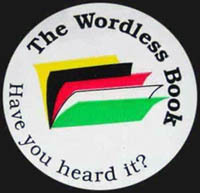 Click on the Wordless Book to learn more about how the Good News of Salvation through Jesus Christ is shared using this simple tool. Please browse through our web site for more information about us and about opportunities to partner with us in evangelizing the lost in the ripe mission field of Central Oregon. This entry was posted on Friday, May 30th, 2008 at 2:16 pm	and is filed under General CEF News. You can follow any responses to this entry through the RSS 2.0 feed. Both comments and pings are currently closed.